Students in Samford’s School of the Arts will hit the ground running when they return in late August to prepare for an exciting performance season. From ensembles to major productions, students will share their talents with the Samford and Birmingham communities. The Department of Theatre and Dance begins with the Theatre for Youth production and Alabama premier of The Miraculous Journey of Edward Tulane. This heartwarming story of a toy rabbit finding the meaning of love takes the stage Sept. 27-30 with a special FirstNight performance for area agencies. This production is underwritten by Emma Taylor and Milo’s Hamburgers. Henrik Ibsen’s Hedda Gabler follows in Bolding Studio Oct. 25-28, telling the classic story of passion and desperation. Samford Opera will debut the newly commissioned opera The Ghosts of Gatsby Nov. 15-18, showcasing students and the work of librettist Josh McGuire and composer Evan Mack. The spring season will begin Jan. 31-Feb. 3 with Rodgers and Hammerstein’s A Grand Night for Singing where the audience will be humming along to familiar show tunes. This event is underwritten by Regency Retirement Village Birmingham. 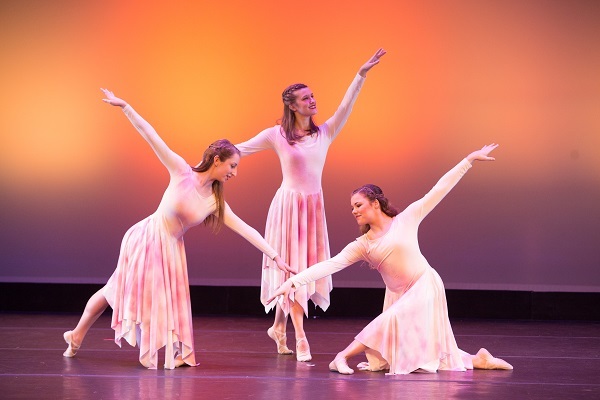 The annual Dance Concert takes place Feb. 22-23 featuring the Samford Dance Company and collaborative works from across the School of the Arts. Theatre for Youth’s Peter and the Starcatcher will run March 21-24, bringing a tale of adventure for families. The musical version of the beloved Freaky Friday takes center stage April 25-28. Additional season highlights include the American Shakespeare Center Hand of Time Tour Feb. 15-16, an opera workshop April 5-6, Ten-Minute Play Festival in December and the One Act Festival in May. School of the Arts is grateful for season underwriters Michael J. and Mary Anne Freeman, Dr. Chandler and Jane Paris Smith and Emma Taylor for supporting arts students and productions.